New Toy Hammock Storage Organizer Hits Consumers Today! A new Jumbo Toy Hammock Storage Organizer, the Toy Hammock, is now available to consumers exclusively at Amazon.com, ad thanks to the child-friendly product provider Freddie and Sebbie, which operates out of Las Vegas, Nevada. 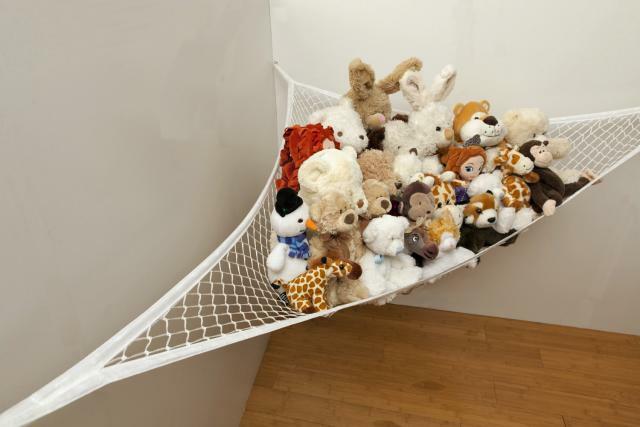 “If you’re looking to eliminate clutter, like stuffed toy animals or soft toys, then this extra large toy hammock net is the perfect solution,” said Neil Speight, co-founder of Freddie and Sebbie, a name that parents and children have come to trust and love. According to the product spokesperson, their new Toy Hammocks are the perfect solution for getting toys and stuffed animals off the floor which are scattered all over. In fact, this Toy Hammock is guaranteed to make persons life much easier when they are tidying up, because they’re not constantly bending over and hurting their back tidying the kids’ rooms. “The new jumbo Toy Hammock is yet another testimony to our Freddie and Sebbie products, which are made to the highest standards in quality, safety and reliability. Besides, if you don’t believe us just read what Verified Purchases have to say about our products. We believe in giving the very best to both parent and child,” said the product’s spokesperson. ← Freddie and Sebbie’s Toy Hammock Storage Organizer Promises To Make Summer Clutter Free!